Batter up! 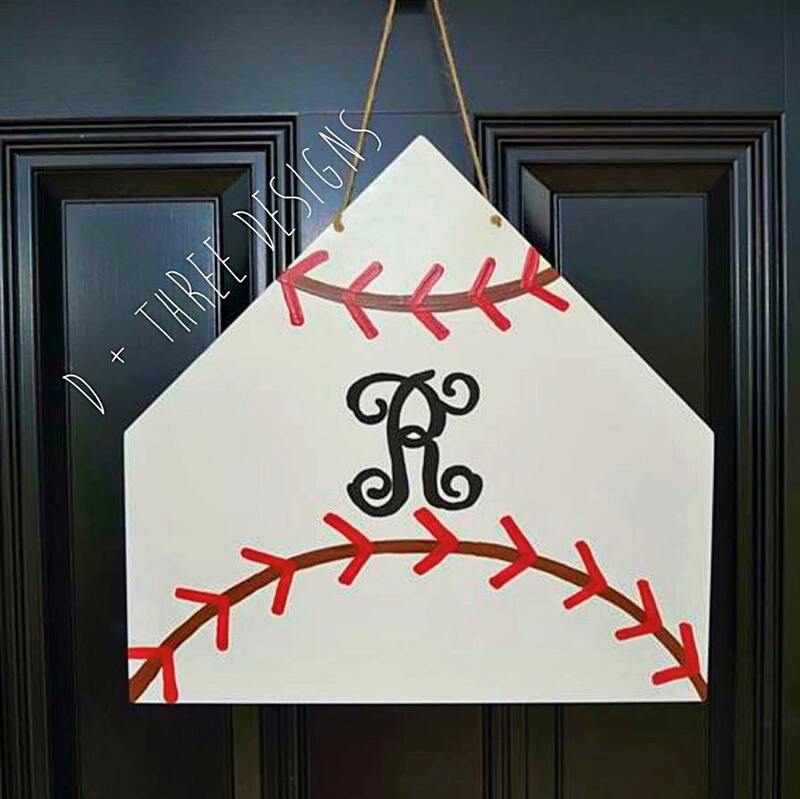 Calling all baseball families! 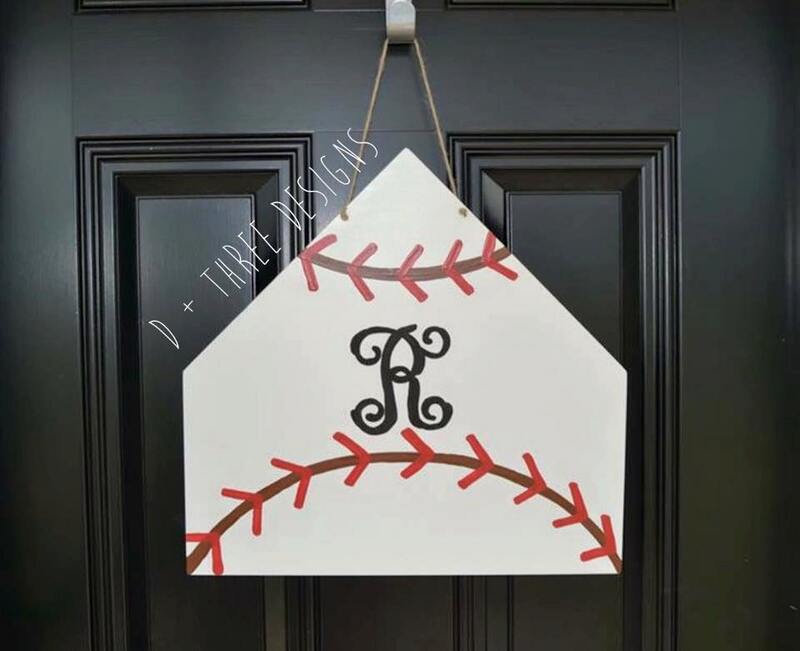 This is our home plate (with the exact measurements of a real home plate) hand painted wooden door hanger! This hand painted and sealed home base wooden door hanger comes with a rustic twine hanger which is perfect for hanging on any door. 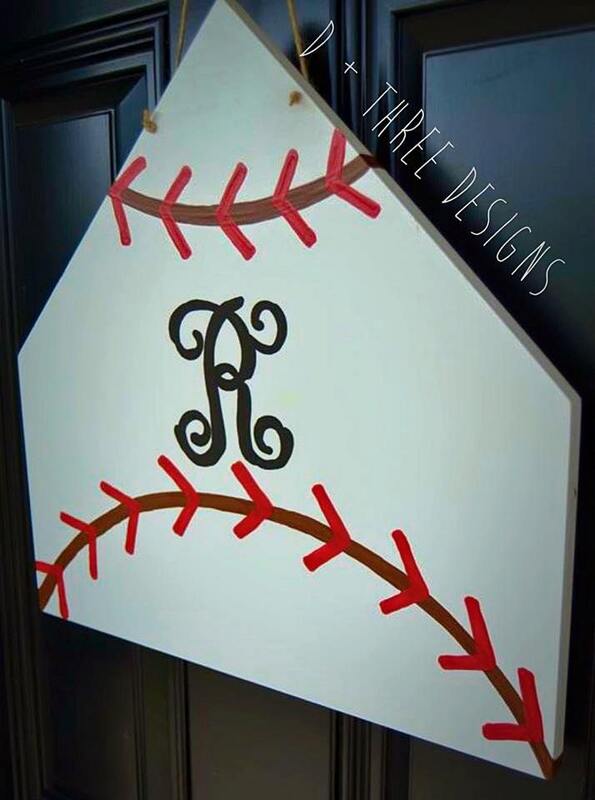 The home plate can also be hung freely on the wall. This wooden hanger is made of 1/2 thick birch wood. Please let us know what letter you want painted in the center upon check out by putting the letter in the "notes to seller" box.